First river navigation for our Hallberg-Rassy 31 "EraOra" along the river Krka. We spent some time in the town of Sibenik, definitely a must see. We had a lovely evening at the restaurant "Pelegrini" in the historical town of Sibenik with a great view of the Katedrala sv. Jakova. 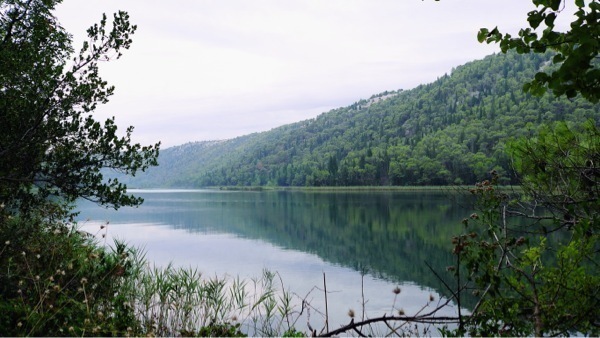 The next day we followed the river Krka till Skradin, passing mussel farms and small hidden "Konobas". It all felt like sailing thru a canyon, with cliffs and walls of white rocks. Skradin itself was a real pleasure, this is probably why even Bill Gates used to spent some holidays on his megayacht in this small little village with a nice marina and some great anchor spots, so it wasn't difficult to wait for better weather. Once the rain stopped we enjoyed even more the walk to the Krka waterfalls. There I had a swim between hundreds of other tourists and felt a bit overwhelmed by such a crowd, the waterfalls are a great natural wonder.